Haderlap is an accomplished poet, and that lyricism leaves clear traces on this ravishing debut, which won the prestigious Bachmann Prize in 2011. The descriptions are sensual, and the unusual similes and metaphors occasionally change perspective unexpectedly. 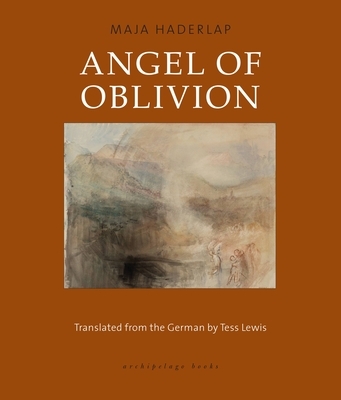 Angel of Oblivion deals with harrowing subjects - murder, torture, persecution and discrimination of an ethnic minority - in intricate and lyrical prose. The novel tells the story of a family from the Slovenian minority in Austria. The first-person narrator starts off with her childhood memories of rural life, in a community anchored in the past. Yet behind this rural idyll, an unresolved conflict is smouldering. At first, the child wonders about the border to Yugoslavia, which runs not far away from her home. Then gradually the stories that the adults tell at every opportunity start to make sense. All the locals are scarred by the war. Her grandfather, we find out, was a partisan fighting the Nazis from forest hideouts. Her grandmother was arrested and survived Ravensbrück. As the narrator grows older, she finds out more. Through conversations at family gatherings and long nights talking to her grandmother, she learns that her father was arrested by the Austrian police and tortured - at the age of ten - to extract information on the whereabouts of his father. Her grandmother lost her foster-daughter and many friends and relatives in Ravensbrück and only escaped the gas chamber by hiding inside the camp itself. The narrator begins to notice the frequent suicides and violent deaths in her home region, and she develops an eye for how the Slovenians are treated by the majority of German-speaking Austrians. As an adult, the narrator becomes politicised and openly criticises the way in which Austria deals with the war and its own Nazi past. In the closing section, she visits Ravensbrück and finds it strangely lifeless - realising that her personal memories of her grandmother are stronger. Illuminating an almost forgotten chapter of European history and the European present, the book deals with family dynamics scarred by war and torture - a dominant grandmother, a long-suffering mother, a violent father who loves his children but is impossible to live with. And interwoven with this is compelling reflection on storytelling: the narrator hoping to rid herself of the emotional burden of her past and to tell stories on behalf of those who cannot. MAJA HADERLAP is a Slovenian-German Austrian writer and translator. She studied German language and literature at the University of Vienna and has a PhD in Theatre Studies. Between years 1992 and 2007 she worked as drama supervisor at the Klagenfurt City Theatre and was editor for the Carinthian Slovene minority literary magazine Mladje. Haderlap writes poetry, prose and essays in both Slovenian and German. Her work has been published in numerous international literary journals and anthologies. She was awarded the Ingebjorg-Bachmann-Preis and the Rauriser Literaturpreis for her debut novel Engel des Vergessens (Angel of Oblivion). TESS LEWIS is a translator of German and French. She has been awarded translation grants from PEN America & UK, an NEA Translation Fellowship, and a Max Geilinger Translation Grant for her translation of Philippe Jaccottet. She is an Advisory Editor of The Hudson Review and writes essays on European literature for numerous literary journals.